Tummy tucks involve removal of excess skin, stretch marks and fat along with tightening of the abdominal muscles so that you can show off your sleek, contoured, feminine core that highlights a smoother and firmer figure. Whether it’s genetics, weight loss or pregnancies, damaged abdominal skin will generally not respond to working out and strict diets. 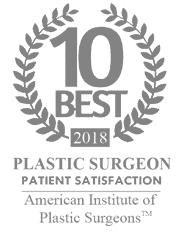 A tummy tuck performed by the highly qualified and board certified plastic surgeon, Dr. Aaron Gorin, you will have a flatter, firmer midsection that you will be proud to show off. The procedure typically takes two hours to complete. Dr. Gorin in Portland, Oregon feels that general anesthesia is not necessary for this procedure. Instead, IV sedation is used. You are still 100% asleep, but, no breathing tube needed. During the procedure, Dr. Gorin will use an incision very low on the tummy (generally concealed by a bathing suit) to elevate the skin away from the muscle, cinch the muscle together like an ‘internal corset’, then, remove the excess skin and fat leaving you with a tummy that you’ll love. Typically, most women also include liposuction of the lower back to further define the hour-glass shape. Recovery time is typically 2 weeks for a desk job, 4 weeks for light exercise, 10 weeks for intense exercise (such as crossfit). However, it will be well worth it once you see the substantial improvement in your tummy as it typically returns to its pre-pregnancy appearance (if not better). Carrying an apron of excess skin combined with weakened abdominal muscles can lead to a condition called lordosis, commonly known as “sway back”. This is sometimes accompanied by at least some back pain. A tummy tuck can often alleviate this pain (to varying degrees) while at the same time improving posture. This is one of the benefits of muscle tightening during the procedure. Many moms end up with a hernia at the belly button after pregnancy. This usually looks like a little ‘bulge’ on one side of the belly button skin. Dr. Gorin will repair this at no additional charge at the time of the tummy tuck. Excess skin and weak abs can make it difficult to exercise. A tummy tuck can reinvigorate the patient’s love of running, walking, or other aerobic activities. It is well-known that exercise is great for the heart and a person’s general well-being. Frequent exercise can also help to retain weight loss. Dr. Aaron Gorin is a skilled tummy-tuck surgeon who provides a personalized approach to each consultation, procedure, and postoperative success so that each patient feels relaxed and confident of the outcome she will see. Many patients have expressed concerns about long-term safety when it comes to this procedure, but, complication rate is exceedingly low. Additionally, if any revisions are necessary in the first year, Dr. Gorin waves any potential fees. Most patients complete the Tummy Tuck in with no complications when they carefully follow Dr. Aaron Gorin’s pre-operative and post-surgery recommendations. Our procedures cost on par with other facilities in the Pacific Northwest. Please call to set up a complimentary consultation so we may tailor your experience to meet your desires to have a firmer, flatter stomach. See the results you want with Gorin Plastic Surgery and MedSpa! Oftentimes women will decide to have a Mommy Makeover procedure after looking into an Abdominoplasty/Tummy Tuck This is a more comprehensive approach for patients who may feel that their pregnancy took a serious toll on their figure and would like to regain their pre-childbirth body from head to toe. Mommy Makeovers typically include a Tummy Tuck along with targeted liposuction as well as a breast lift and/or breast augmentation. By combining a tummy tuck with the other body-reshaping procedures, the overall postoperative recovery time is reduced as is the cost. The end result is a shapely silhouette that you will love. With all of these benefits and the boost to one’s self-esteem, it is easy to see why so many women make the jump for this life changing procedure. Call the team at Gorin Plastic Surgery today to schedule your complimentary consultation and see how an abdominoplasty can benefit you! You really put in overtime when it comes to your patient’s personal care. You’re more on top of things than I could have ever imagined. I’ve sung your praise high and low to many a woman, young and old. Hopefully they turn into great success stories and new voices for you too. You’ve been awesome. Even on your vacation…that truly amazed me….who does that? For goodness sake…..even the most dedicated would only want to hear of an emergency. Thanks for being as awesome as you have. I’m beyond impressed. Take good care of yourself…you take wonderful care of others. I just wanted to thank all of you for being so awesome all the way through my surgery and recovery. I have been so impressed with all the special care you have provided to me that I am encouraging my friends to see you if they have even had a thought of having any type of cosmetic surgery. I sing your praises all the time. I even show off your work and I was thinking that this would be a personal thing for me but with the great work you have done I had to show my tummy tuck off. I am even impressed with your availability no matter what time of day or night I needed a question answered. Since my surgery in March I have sent to you 3 friends. This shows how much faith I have in the work and care you all provide. Thank you all for making me feel like family. Yes. In fact, even that first night. This is facilitated by controlling pain with Exparel—a long lasting (72hrs) pain medicine that is injected into the muscle during a tummy tuck. How long do I need help at home? How long do I need off of a desk job? Do I need a special bed? How soon can I travel or fly on an airplane? How soon until I can swim? Pool? Ocean? Can I text Dr. Gorin 24.7 with any issues any time?